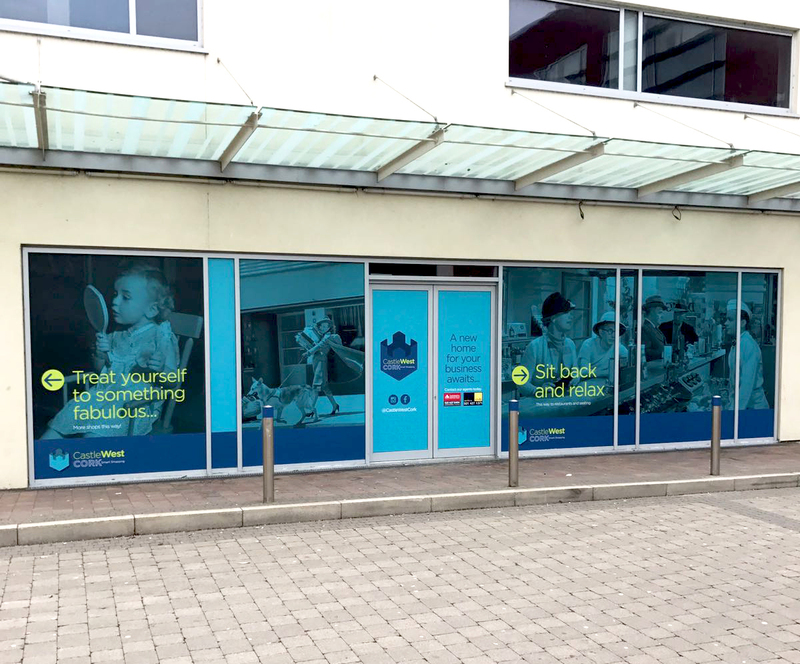 Graphica Display have recently completed an extensive re-brand of a whole shopping centre in Ballincollig near Cork. 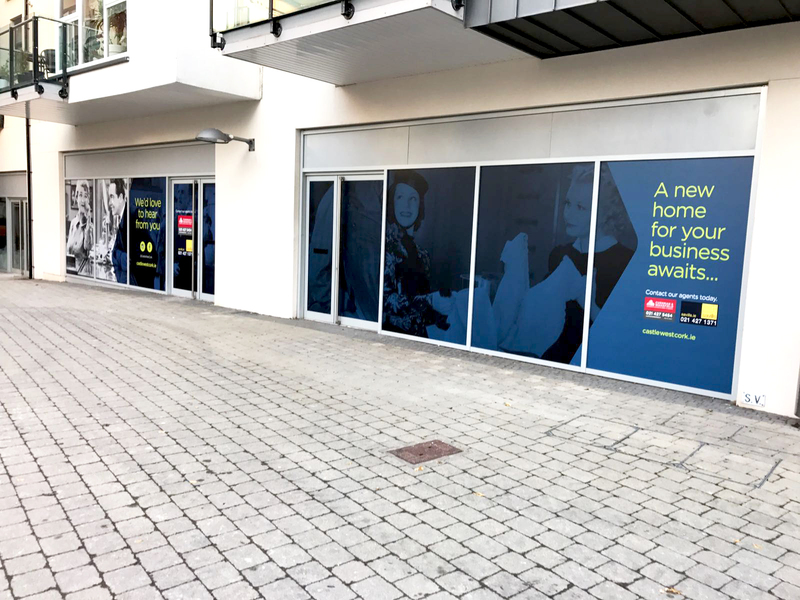 After careful site surveys and issuing of proofs, Graphica produced and fitted an array of large format graphics and signage for the whole site. 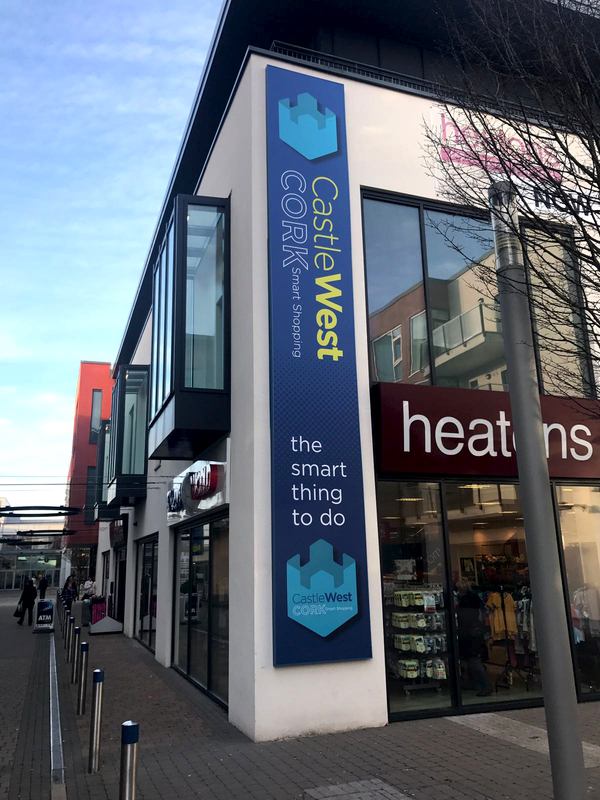 These included : High Level LED lit formed and painted signs, Flex Face systems, Totems, Vinyl Graphics, Floor Graphics, Stencil Graphics, window vinyl, directional signage and 3M Di Nock woodgrain vinyl install. 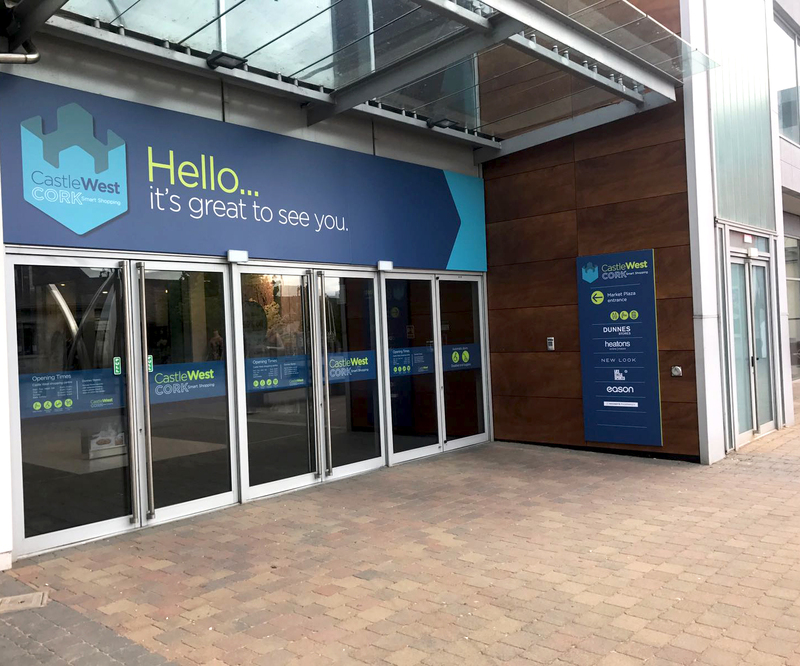 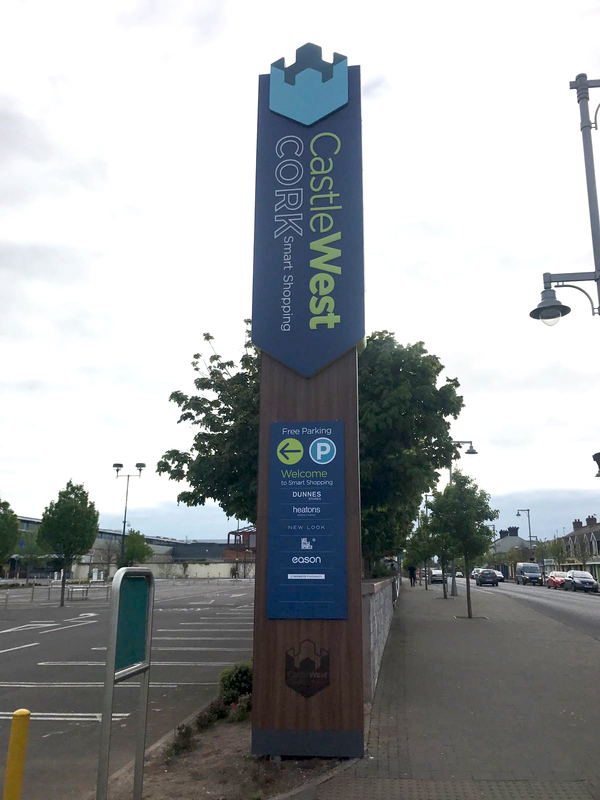 The client was very happy with the whole end effect that has helped transform the look and feel of the whole shopping centre estate now re-branded and re-named as Castle West Cork.